Over the years, bowling alleys have evolved into full-blown “fun for all” entertainment centers. They are now attracting a new crowd with things like full-dining, pool tables, and cocktail lounges, and using technology like online reservation software to rapidly grow their revenue. Back in the 1960s during its growth peak, interest in bowling was predominately league play which brought in 70% of revenue according to a study from White Hutchinson Leisure and Learning Group in Kansas City. Over the years, league play has decreased – a decline that is now being counteracted by an increase in recreational play. Categories: Birthday Parties, Booking Trends, Bowling Centers, PlaceFull News, Software | Tags: bowling parties, bowling software | Permalink. 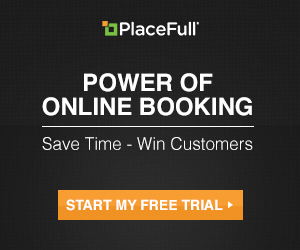 Why do consumers prefer to book online?